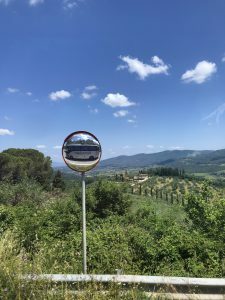 Today we traveled to the Chianti region of Tuscany, where we started our day exploring the little town of Greve! It was so nice to see how the locals live and buy their everyday necessities at the market held on the weekends. 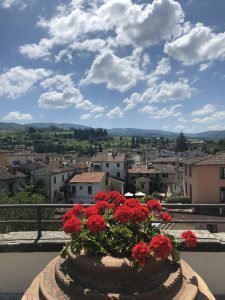 We captured a look from above the beautiful little city and headed on to the town of Panzano where we had an amazing lunch with a view. The beauty of the scenery didn’t even seem real and looks straight out of a postcard. It was absolutely breathtaking. Lunch consisted of a meat platter, followed by pasta bolognese, and panda cotta for dessert that was to die for. 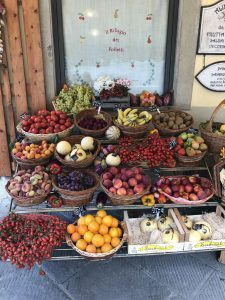 We hopped back on the bus and took a small stop in Castellina in Chianti where we found a cute little artisan store that I bought some gifts at and took a look at the city center, where our tour guide explained that this city is right in the middle between Florence to the North, and Siena to the South. 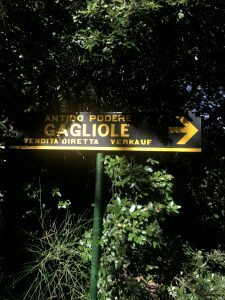 That’s when we headed to the vineyard of Gagliole, a little gem in the Tuscan region. We were explained the delicate process that the grapes go through in order to become the delicious wine in the end. I have never been to a vineyard so seeing all the equipment and place that this special wine is made in was very incredible. 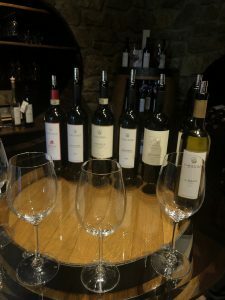 We got to taste a few of the wines, and we all ended up leaving with wines for home, true Italian style. Today was more relaxed and not rushed like the others which made the day feel more like a vacation. 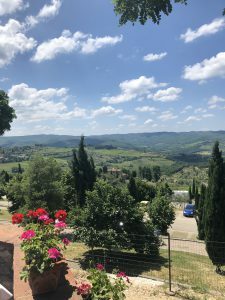 It was so nice to have gotten to meet such lovely people through the day and learn more about the Tuscan region through locals. This entry was posted in Uncategorized by Suellen Guerreiro. Bookmark the permalink.